Easy tips for growing Chinese cabbage in backyard or container vegetable gardens. 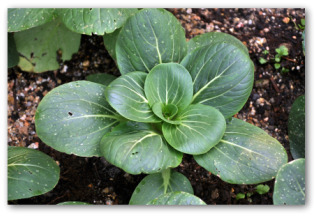 Learn how to plant, grow, and care for bok choy when growing vegetables at home. There is nothing difficult about planting Chinese cabbage as long as the plants are not sown too early in the summer. If the crop matures during hot weather, the plants will go to seed rather than form a head. Put your crops in the ground in April for harvest by late June. Or plant seeds from the middle of July to mid-August for harvesting through the fall. Try to avoid growing cabbage during the peak of summer heat. Chinese cabbage is a succulent football shaped vegetable that is not among the most well-known vegetables, but makes a nice variation when raising cabbages. 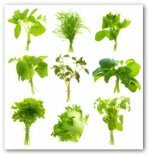 They have a mild flavor, taste similar to lettuce, and are usually grown to be eaten raw rather than cooked. Recommended varieties for cabbage include: Springtime and Summertime. 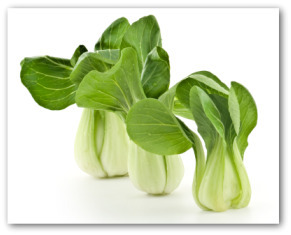 Bok Choy is a space saver due to its tall slender shape. 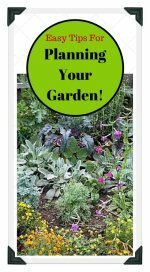 It takes less space, and matures more quickly than regular cabbage plants. It also can be harvested and eaten at any stage of the growth cycle. 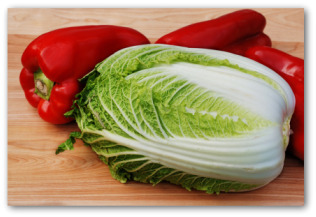 Chinese cabbage makes a great addition to any vegetable garden. As with all the cabbage family plants, the success of growing Chinese cabbage depends on quality soil preparation. These vegetables require an enriched, moist garden bed that is high in organic matter and nearly neutral in pH. When preparing the soil, dig in at least two inches of compost and a dusting of ground limestone if possible. Chinese cabbage can be planted 8" apart if you want space for fully mature heads. It can be planted as close as 2" if you plan to thin by harvesting the small plants before they form mature heads. Many vegetable gardeners plant the Chinese cabbage crop alongside a row of collards. Drop a pinch of seeds at one foot spaces along the row. Later on, thin to the strongest plant at each space. Compost the pulled seedlings because they will produce flower spikes rather than heads if they are transplanted. Every two to three weeks side dress the rows with a handful of 10-10-10 for every five foot section of row. Treat the plants with Bacillus thuringiensis at 7 to 10 day intervals throughout the growing season to ward off the threat of the cabbageworm caterpillar. Several varieties of Chinese cabbage are becoming more popular. Many gourmet gardeners think of growing Chinese cabbage more along the guidelines as its close relative the mustard plant. Some of the cabbages produce heads resembling romaine lettuce more than the usual round dense cabbage head. * During cooking, Chinese cabbages lack the familiar (not so pleasant) cabbage smell. * The plants known as Chinese cabbage are not a single variety, which is why there are extra names such as celery cabbage, Chinese heading mustard, or chard. Michili resembles romaine but has tender stalks like celery. Pe-tsai is another in the celery/cabbage class that has a light green leaf and nearly white heart. Wong Bok has a head that is broad from the base and its leaves resemble a more compact chard. Pac-Choy looks like mustard greens and forms no heart. Several forms of Chinese cabbage have been grown for centuries, sometimes through the winter. Although, members of the cabbage family, these cabbages are more delicately flavored than most coles. For all Chinese cabbages, vegetable gardening experts recommend allowing 28 days between seeding indoors and spring transplanting to garden beds. Allow 21 days from sowing to fall transplanting. Chinese cabbage will be more tender and flavorful if grown quickly to maturity at temperatures between 60 and 75 degrees. A tendency to transplant-shock in some varieties suggests some Chinese cabbages, such as the heading type, will mature faster when planted directly from seed. Chinese cabbages are noted for their versatility in cooking. Coarse outer leaves can be used to blanket a steamed fish. The stalks of some types can be used like celery and combine well with any mixed vegetable dish. Tender inner leaves can be used either whole in salad or grated like ordinary slaw. Most of the plants can also be boiled whole like ordinary cabbage.